What's Inside a High Voltage Power Supply Module? The major blocks needed for building a high voltage power supply module are: input power supply conditioning, DC-AC inverter, step-up transformer, AC-DC rectifier, Ripple by-pass filter, output voltage sensing and feedback, error amplification and control. Please refer to the Selection Guide of High Voltage Power Supplies. This power module, AHV5V3KV1MAW, is designed for achieving DC-DC conversion from low voltage to high voltage. 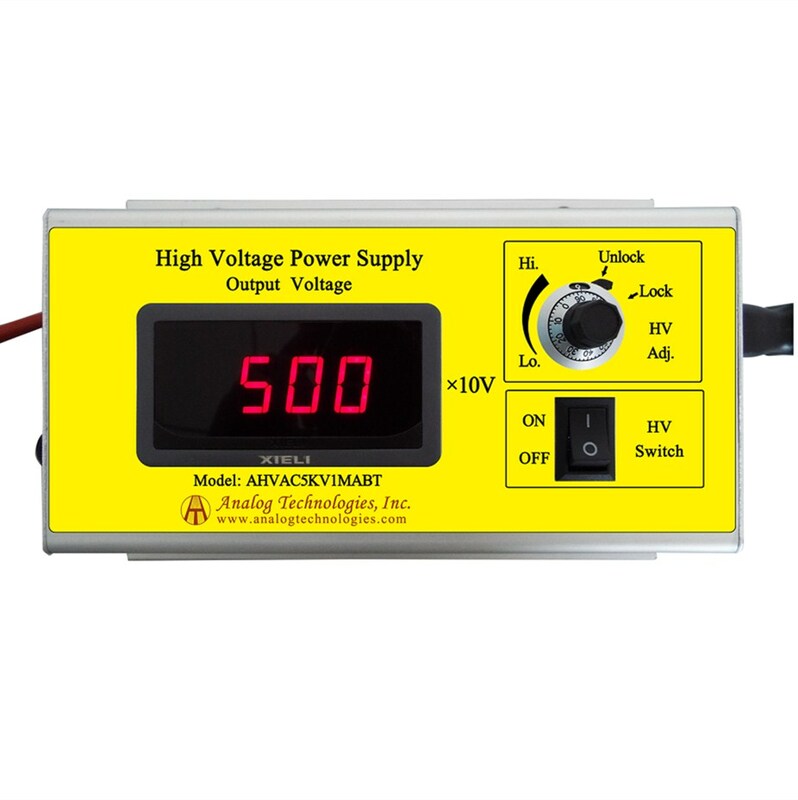 High voltage power supply is widely used in industry, agriculture, national defense, scientific research and other fields including: X-ray machine high voltage power supply, laser high voltage power supply, spectral analysis high voltage power supply, etc. They are widely applied in ion beam deposition, ion beam assisted deposition, electron beam evaporation, electron beam welding, ion source, DC reactive magnetron sputtering, glass / fabric coating, glow discharge, microwave treatment high voltage capacitance test, CRT monitor test, high voltage cable fault test (PD testing), TWT test, and H-POT test. 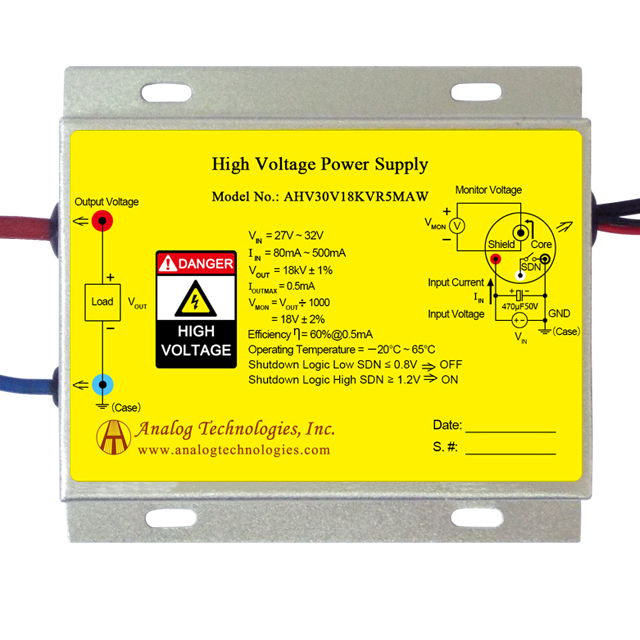 Note: there are many high voltage power supplies with 12V input voltage. 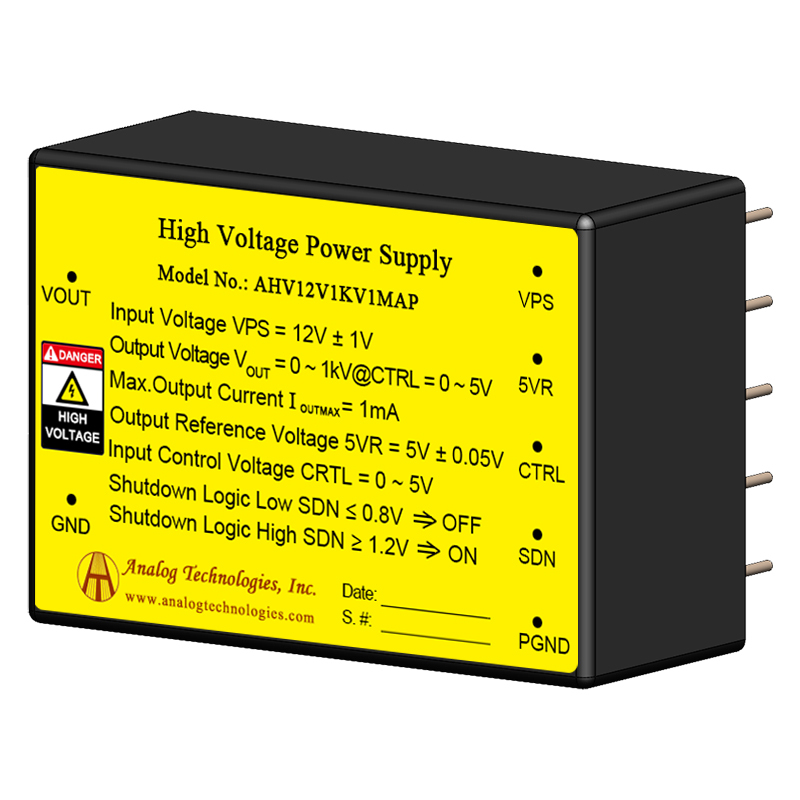 Please refer to the attached Selection Guide of 12V input voltage power supplies. 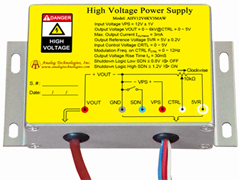 Note: there are many high voltage power supplies with 24V input voltage. 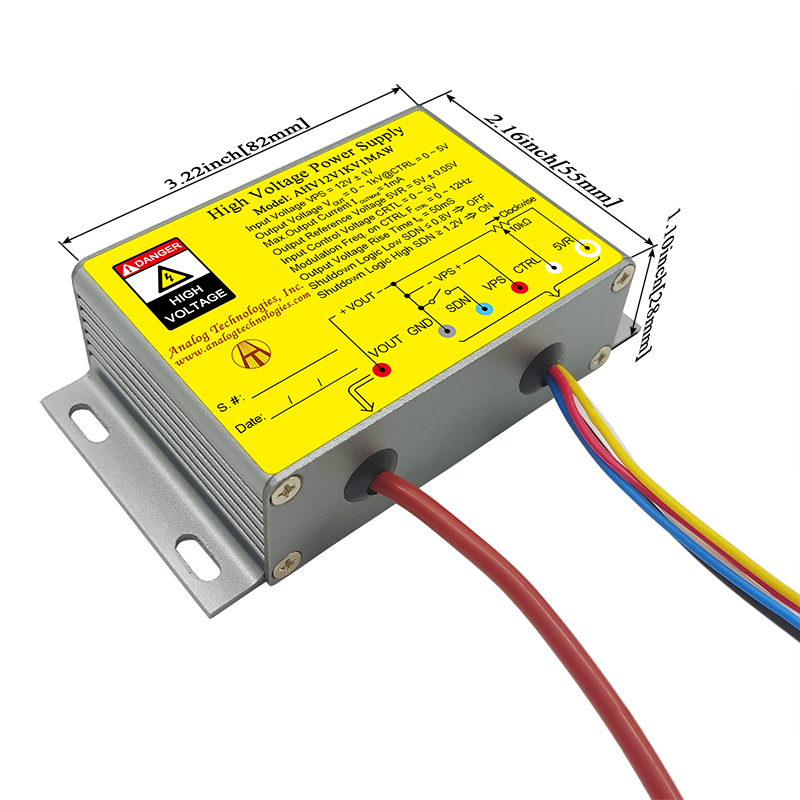 Please refer to the attached Selection Guide of 24V input voltage power supplies. >Note: there are many DIP package high voltage power supplies. 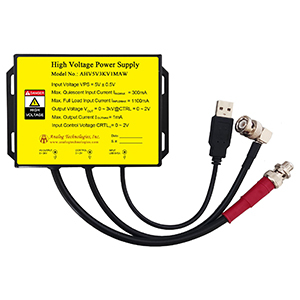 Please refer to the attached Selection Guide of DIP package high voltage power supplies. 1. Q: What is the specialty of Analog Technologies's HV power supply modules? A: The main differentiator of ours vs. our competition's products are: long life time and low cost. Our high voltage power supply modules are designed to last > 21 years and we give unconditional 2 year warrenty.